We live in a fast-paced world where eating healthier ends up being a lower priority for many people. Good nutrition is often sacrificed at the expense of speed and convenience. 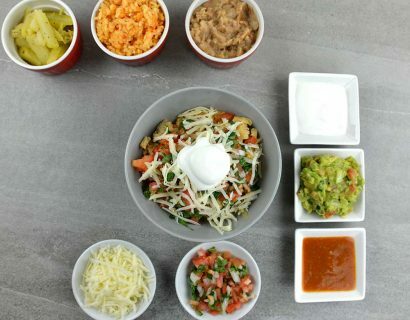 At Blendz we offer a complete line of healthier menu items that can be mixed and matched to fit your taste and desires; all at the speed and convenience of traditional fast food. Create your very own salad at our Salad Station, boasting a variety of toppings and dressings that are rotated daily. Invent your very own smoothie recipe, just the way you like it, with all your favorite fruits and juices. Hey, you might even be the mastermind behind our newest smoothie recipe! And what’s the cold without the hot? Hot grilled panini sandwiches and quesadillas and gourmet soups to complete the perfect, more nutritious meal. 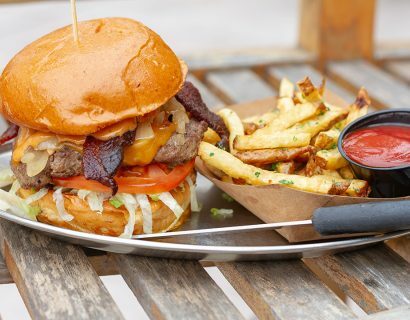 All served to you with the speed of a fast-food restaurant, without the fast-food taste. 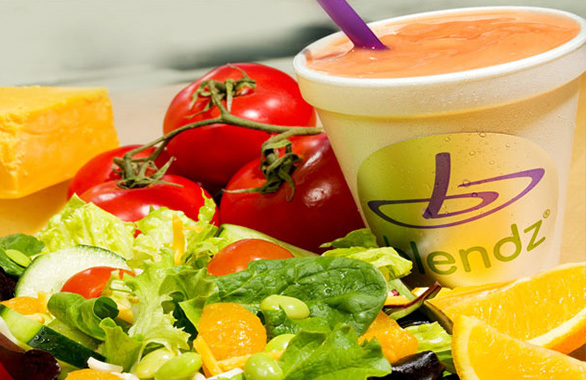 Eat in or take it to go, either way you’ll feel better about eating at Blendz!